Remember fidgeting at your sixth grade desk, while your teacher earnestly attempted to teach you about our country’s forefathers and how they created the Bill of Rights? Now it’s your time to help create the first ever MyThreeCats.com’s version of the “Cat’s Bill of Rights”! You and MyThreeCats.com will together author this marvelous document, combining our wisdom and experience with cats and creating a veritable Cat Manifesto! The purpose of this document is to set forth ways in which our cats can attain “life, love, and the pursuit of happiness” in their brief, but meaningful lives. Your suggestions can be serious or humorous, but must ring true about cats and their nature. (Note: all comments will be screened for appropriateness by MyThreeCats.com staff before posting to this website. By adding your comments and submitting your “Cat’s Bill of Rights” contribution to this blog site, you acknowledge that MyThreeCats.com reserves the right to publish your contribution as part of the MyThreeCats.com “Cat’s Bill of Rights” on any website or print publication owned or not owned by MyThreeCats.com. #1 I have the right to assume my normal position on your lap and stay there for an indefinite period of time, until nature calls, someone opens a can of cat food, or a bug crawls across the floor. #2 I have the right to walk all over your computer keyboard, !@#$$%^&*(()!! causing you to lose forever that hour long document you’ve been carefully typing and not saving. #3 I have the right to tear through your bedroom at 3:00AM, knocking over who knows what and scaring the living daylights out of you. #4 I have the right to decide if, when and where I allow you to pick me up, hug me and fuss over me. The optimal time is usually right before dinner. I will readily accept bribes, I am shameless. #5 I have the right to send projectiles of litter and other assorted contents out of the litter box when using it, and scratch all the way to China if I so desire. Now, it’s your turn! Add your comment, and together, we’ll create one of the cat world’s greatest achievements. Can you do simple math? 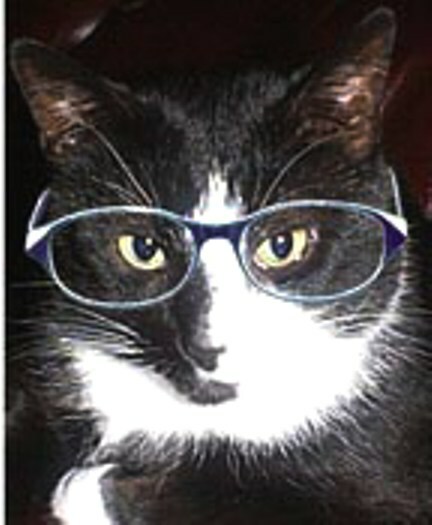 Enter our Cat Genius Quiz. Win a $25 MyThreeCats.com Shopping Spree! We have a fun contest for you! 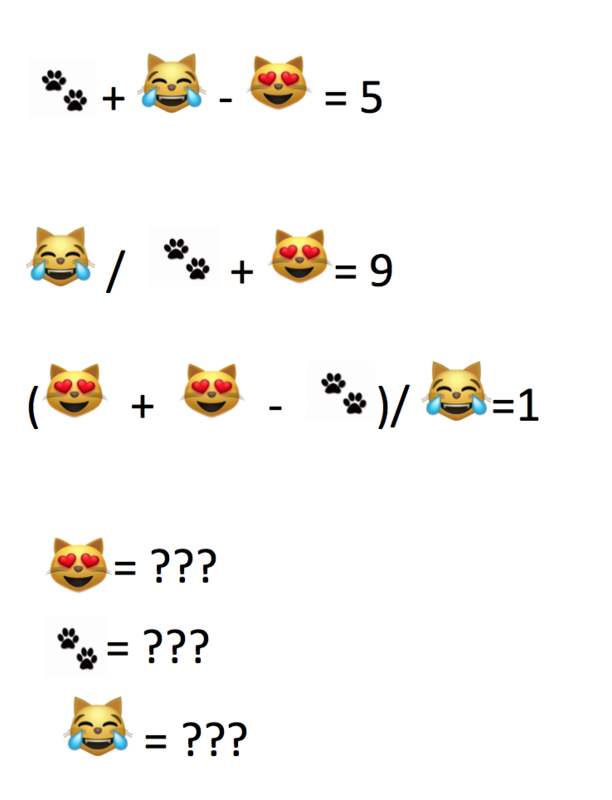 Take a look at the three equations below, then find the correct values for each of the cat symbols listed under the equations. Once you know the values, click here to enter your name, email address and the correct values. Entries must have all three values correct in order to be eligible for the drawing for a $25.00 shopping spree at MyThreeCats.com. Winners are chosen by random drawing from the correct entries. go to link IMPORTANT UPDATE: We’ve extended the deadline for entries due to a brief technical difficulty with the entry form this week. You will have until Wednesday, May 23, 2018 to submit your entry. Only one entry per person, please. The lucky winner will be announced on May 25, 2018 here and on our Facebook page. Posted on May 14, 2018 May 18, 2018 Categories cat fun, cat trivia, feline fun, Just for Fun1 Comment on Can you do simple math? Enter our Cat Genius Quiz. Win a $25 MyThreeCats.com Shopping Spree! Does this kitty know he’s behaved badly? 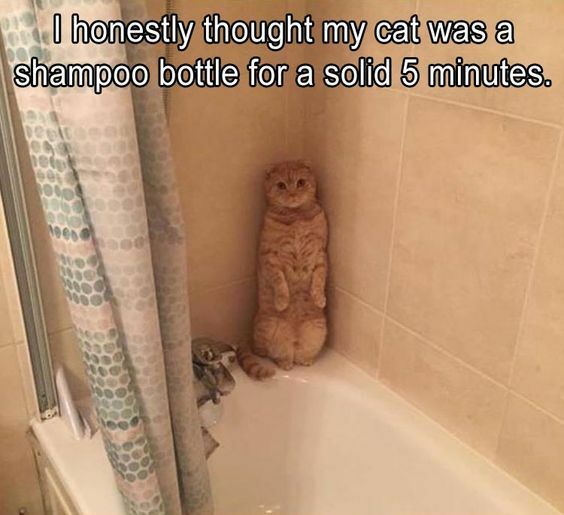 Or is he just having some fun in the shower! Does Your Cat Have Mew Year’s Resolutions? Did you know cats have Mew Year’s Resolutions? If cats could talk, here’s what they’d say is their top ten! Take more time out from my stressful day for more naps. (Stressful = staring out the window at birds; following my human around the house; sitting near my bowl waiting for my next meal). Catch any small object that crawls, kill it, then hide it under my human’s bed. Nail that red laser dot this year! Improve my early detection skills when the carrier is pulled out, then, have an emergency hiding plan! Visit every corner of the house to discover even more potential napping spots. Using my staring technique, train my human to go fetch treats/pull out the toys/do anything I want. Perfect the routine of jumping on my human’s device/keyboard when in use, to grab my human’s attention. Not knead my human at 2 a.m. with claws extended. It seems to cause her some discomfort and she wakes up all grumpy. Be irresistible to my human…wait…I am already! Remind my human to frequently shop at MyThreeCats.com for my favorite things and hers, too! Posted on January 8, 2018 Categories behavior, cat trivia, feline fun, human cat bond, Just for Fun, orange catsTags cat behaviorLeave a comment on Does Your Cat Have Mew Year’s Resolutions?